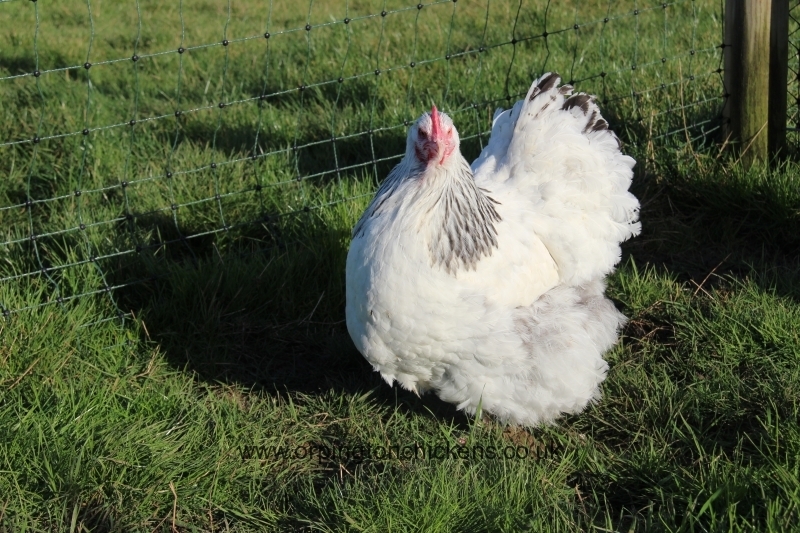 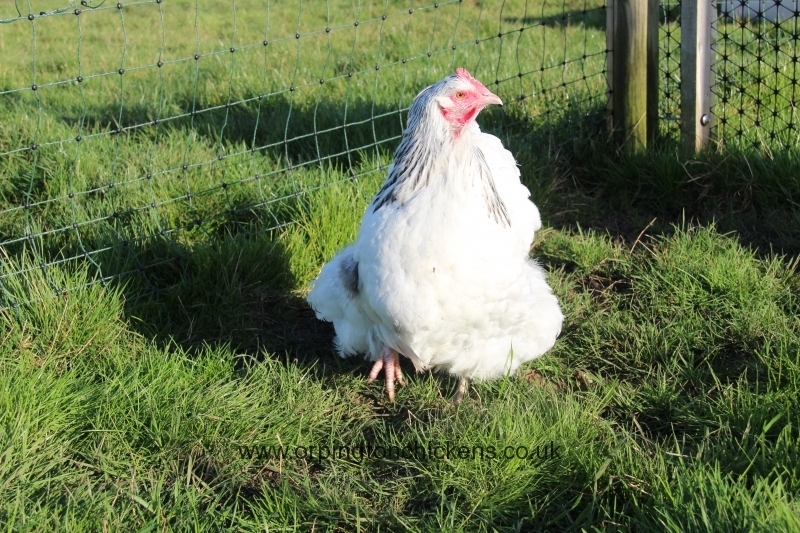 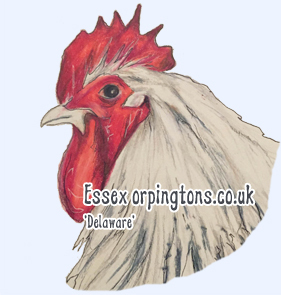 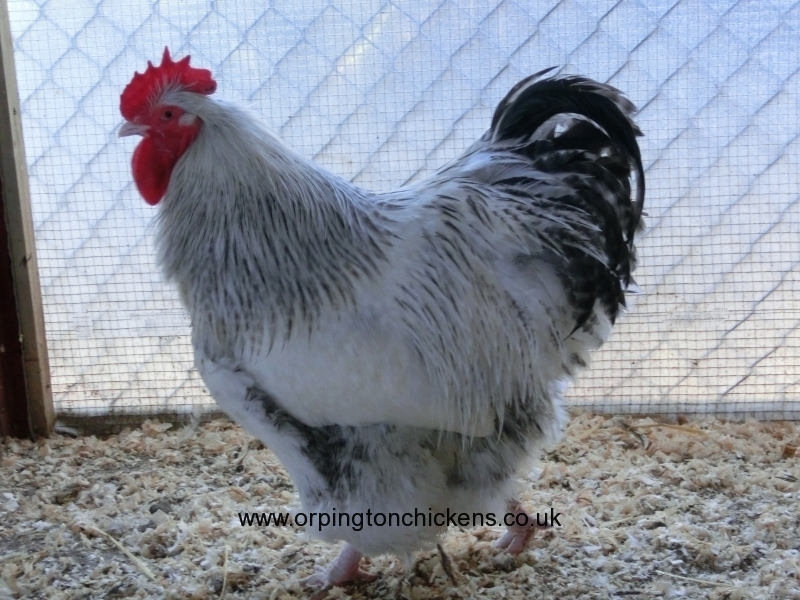 The Delaware Orpington is yet another colour carried over to Orpingtons by the now retired Bob Follows. 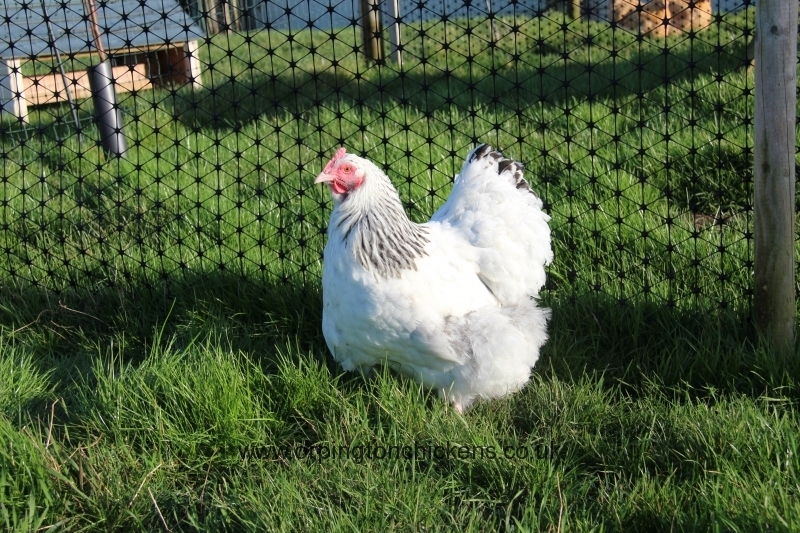 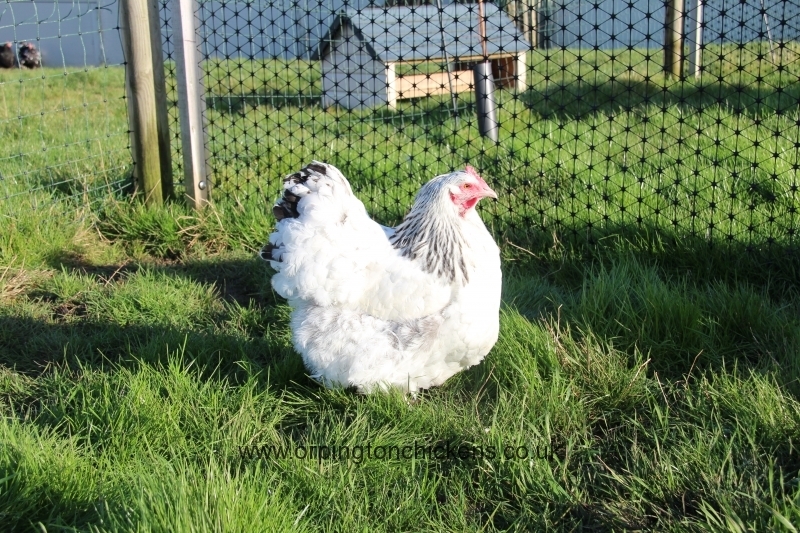 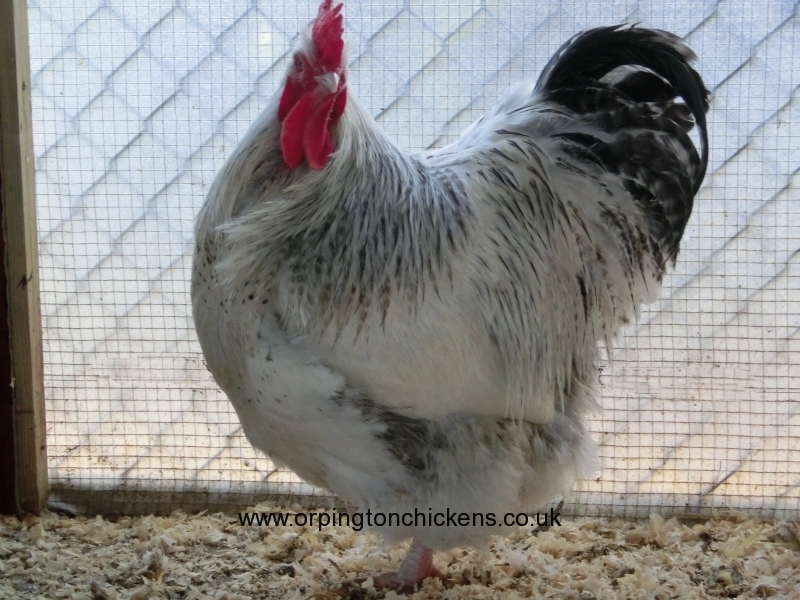 We purchased our breeding group from Keiths Orps in Berkshire.The bird has a white plumage with columbian neck markings and light black barring to the wings,tail and ends of the hackles.This colour is the result of the barring gene over white columbian. 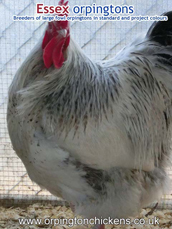 The columbian genes are responsible for the neck and tail markings which give this bird its distinguishing features and the barring gene characteristics apply to this colour. 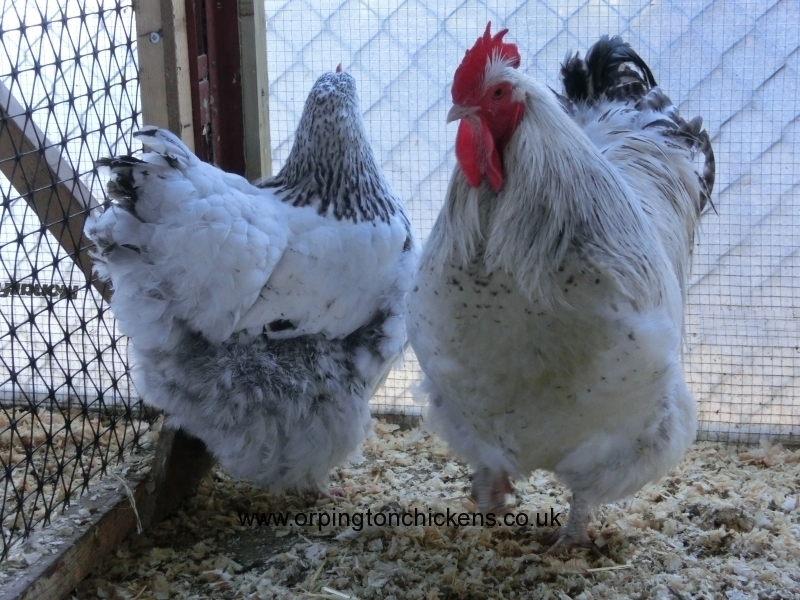 These Delaware Orpington pullets (pullet is a female under 18 weeks old) have been bred from our own flock and hand reared at our Essex Orpingtons farm.